SOHO. At first glance it’s loud and touristy, but the best of SoHo can be found on the second and third floors of its buildings, or in windows that appear to be empty or dull. These “hidden” spaces hold the history of a neighborhood that was home to the most influential personalities of New York’s conceptual art scene of the 60s and 70s. SoHo was the city’s epicenter of culture and art during those decades: Fluxus cooperatives and artists like Philip Glass, Chuck Close, Donald Judd and Frank Stella, among others, lived here. Towards the end of the 70s DIA Art Foundation and Artists Space opened their main headquarters in SoHo. WE SUGEST THAT YOU DO THIS TOUR SOMETIME BETWEEN WEDNESDAY AND SUNDAY, which are the days that all these spaces and institutions are open. WE SUGGEST THAT YOU DO THIS TOUR SOMETIME BETWEEN TUESDAY AND SATURDAY, which are the days that all these spaces and institutions are open. If you don’t have much time we suggest you check the locations marked with crosses (+) so you don’t miss the most impressive productions in the area. 2- LISSON GALLERY- 136 10th Ave.
21- PRINTED MATTER- 231 11th Ave. -A bookstore that exclusively sells art and artist's books, fanzines and limited-editions prints. 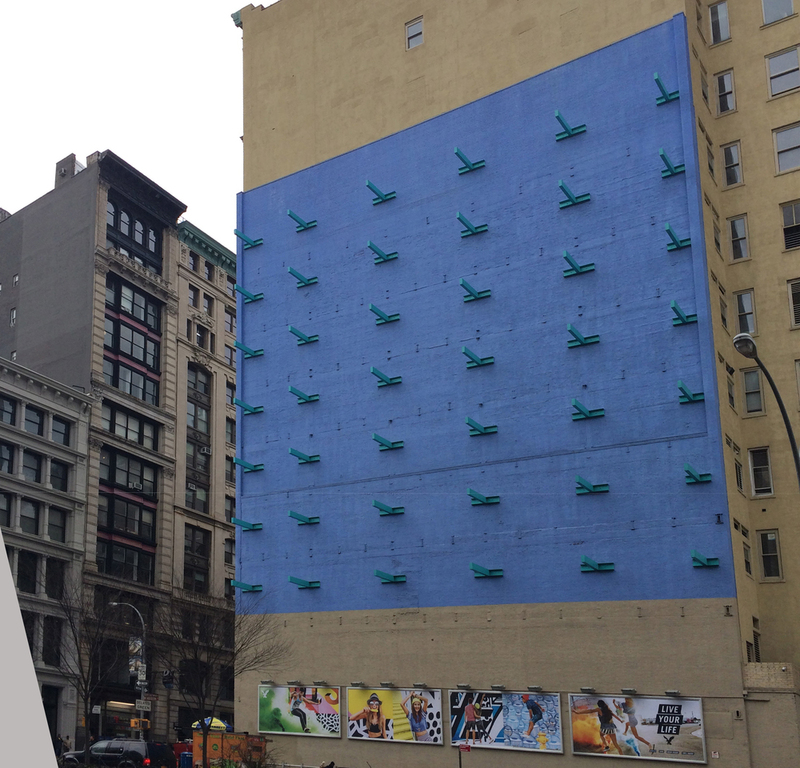 22- DIA FOUNDATION- 545 w 22nd St. - You can find temporary installations in this location. ** On 22nd St. you can find Joseph Beuys' famous installation "7000 Oaks" with sculptures along both sides of the street. Also, after sunset you can see Dan Flavin's light installation on the façade of the old DIA Building. Flavin made this piece in 1996 right before he died. 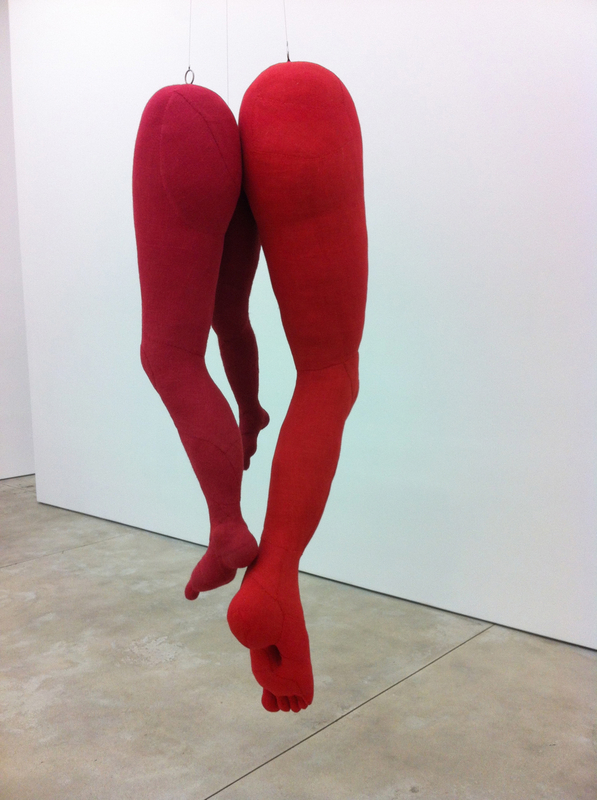 26- NEW YORK LIVE ARTS- 219 w 19th St. -Dance and performance art. 27- JOYCE THEATER- 175 8th Ave. One of the first contemporary dance theaters in NYC. 28- THE KITCHEN- 512 w 19th St.-Theater, performance and visual arts. If you walk along the HIGHLINE there are many works of art installed throughout the park. You can also visit the webstie to check for special programs and events. LOWER EAST SIDE & CHINATOWN. During the 80s, a lot of alternative and experimental galleries started to open on the Lower East Side. After the 2007 inauguration of the New Museum on Bowery , a wave of art spaces and commercial galleries looking for a cheaper and livelier scene, opened in the area. From there, the art scene kept moving south, taking over sections of East Chinatown. The Lower East Side and Chinatown are both neighborhoods that have historically hosted large concentrations of immigrants, working class families and artists. These three demographic groups have given the area a unique eclecticism and rich ethnic diversity. The Lower East Side is also known for being home to some of the best places in the city to see live music and an endless list of vibrant and exciting bars and restaurants. WE SUGGEST YOU DO THIS TOUR SOMETIME BETWEEN WEDNESDAY AND SUNDAY because most galleries are closed on Mondays and Tuesdays. 16- ABRONS CENTER (for dance, theater and music performances) - 466 Grand St.
- You can see live music at: Bowery Ballroom, Mercury Lounge, Bowery Electric, Rockwood, Otto's Shrunken Head, R-Bar, Nublu or The Stone. You can also find live music in bars like Pianos, The Living Room and the Cake Shop. D- $$ EPISTROPHY CAFE- 200 Mott St.
UPPER EAST hosts all the true classics you cannot miss. Places like The Met, Guggenheim, Jewish Museum, and Frick Collection, but in the past 5 years you will also find new Museums and Galleries that have joined the existing crowd of ponderous Art Institutions. This area of Manhattan was crowned the art epicenter in the 1950s, when post-war New York became the art capital of the world. Numerous local and European galleries opened their venues in the Upper East Side. It was promising and prosperous, whilst simultaneously vibrant and classical. Although Chelsea became the promised land in the late 1980s, the Upper East Side continues to have it's place, lately reinventing and given itself over to new trends, it hosts new ambitious and experimental projects that draw artists and viewers from all around the world. A bit south, MoMA- 53rd St between 5Th and 6Th Ave - the iconic, must-see temple of contemporary art. BUSHWICK has historically been a working class neighborhood of Latin American immigrants. More recently it has become home to a major art scene and was recently ranked one of the coolest neighborhoods in the world. Young art fills old warehouses, and factories have been transformed into studios and spaces for experimentation, performance, and street art. 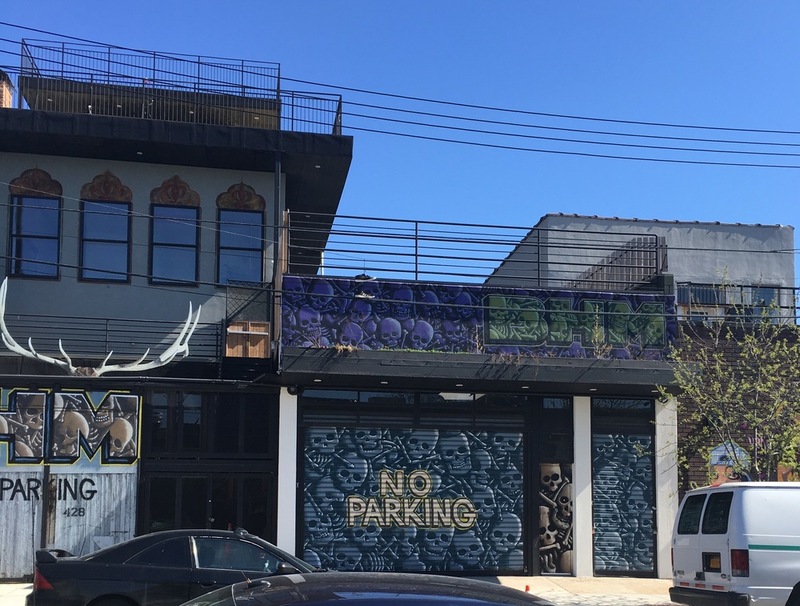 Bushwick plays host to new galleries as well as more established ones originally opened in Chelsea such as Luhring Augustine. For the past 9 years, June has been synonymous with Bushwick Open Studios, a major event in which artists open their workspaces and/or host pop-up shows and parties for huge crowds. If you are around New York in early summer, don’t miss it! 1- GALLERY BUILDING at- 56 BOGART St.
5- GALERY BUILDING at- 1329 WILLOUGHBY Ave.
E- $$ NORTH EAST KINDOM- 18 Wyckoff Ave.
RED HOOK, is one of the best-kept secrets in Brooklyn. Although it has become popular among locals and tourists since the city’s only Ikea opened in the area in 2008, until two years ago few people came for more than that. Today it is a cultural and gastronomic center that grows with no end in sight. The neighborhood’s relative isolation is considered a luxury by locals who refuse to allow subway lines for fear of losing the intimacy, exclusiveness and privilege of being a resident. If you visit Red Hook, don’t miss the studios at Pioneer Works, Pioneer Books, Kentler International Drawing Space, the studios on the peer, the street art and murals, and the gastronomic delights. If you happen to be in Red Hook in June check out the Red Hook Jazz Festival. C- BAKED- 359 Van Brunt St. Accessible via Brooklyn Greenway from York Street in DUMBO, ride to Van Brunt St in Red Hook. Take Brooklyn-Queens Expressway to Atlantic Ave Exit. Turn left at Columbia St. and left again at Van Brunt.